We don't have Easter eggs or bunnies but it's egg laying season for marsh birds. And, if you're lucky, you might see a Black Tailed Jackrabbit make an appearance. 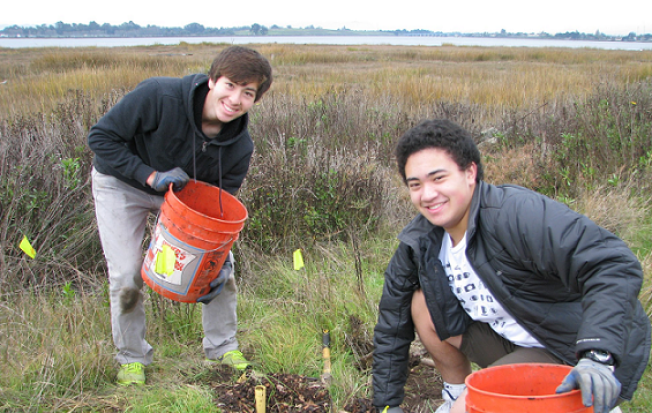 Save the Bay needs your help to create habitat for the fine feathered and furry friends, so venture out to Creekside Park with them to plant the last of their 30,000 native seedlings for the season. Due to the sensitive nature of the restoration site, space is limited and RSVP is requested. You must fill out the online registration form!